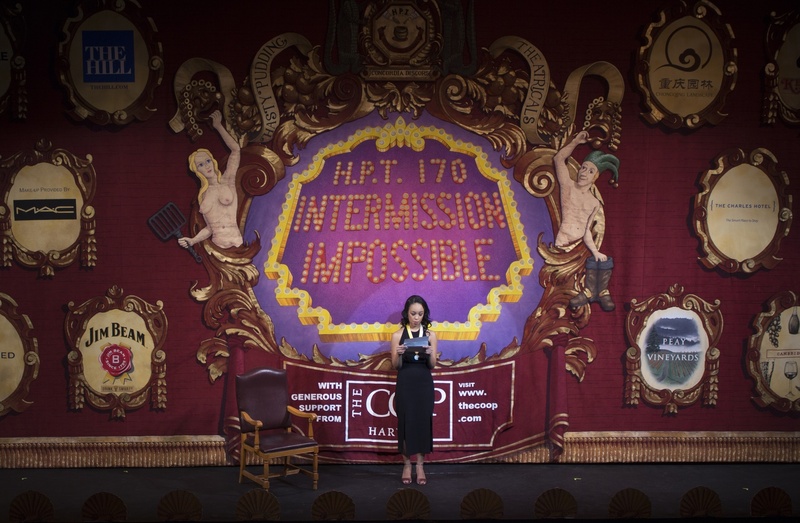 Hasty Pudding Theatricals President Amira T. Weeks '18 announces the group will accept women as part of its cast, breaking with almost 200 years of precedent. UPDATED: January 25, 2018 at 8:48 p.m. The Hasty Pudding Theatricals group will allow women to join its cast after the next round of auditions in fall 2018, breaking with almost 200 years of precedent, the organization’s president announced Thursday. Pudding President Amira T. Weeks ’18 debuted the group’s new policy during the annual Woman of the Year celebratory roast, this year honoring actress Mila Kunis. Weeks read aloud a letter from Andrew L. Farkas ’82, the former president of the Pudding, to a crowd assembled in Farkas Hall. “With no further fanfare, the graduate board of the Hasty Pudding Institute has determined that, commencing with the 2019 Hasty Pudding Show, the Hasty Pudding welcomes women to audition and perform in the roles in the show, and be given equal opportunity to play those roles based on the quality of their individual talents,” Weeks read from the letter. The room of roughly 200 people immediately erupted in cheers. Attendees gave Weeks a standing ovation. Pudding President Amira T. Weeks '18 reads aloud a letter from Andrew L. Farkas '82 announcing the group's decision to accept women. The Pudding, founded in 1844, has had an all-male cast of performers since its inception, though women hold positions on the group’s business, tech, and design boards. The Pudding has allowed women to audition before—Harvard women have sought to join the cast three times over the past three years. Each time, though, female auditioners failed to earn a callback. Kunis, speaking at a press conference after the roast, said her decision to attend the day’s celebrations was contingent on the Pudding’s choice to go co-ed. Kunis added, though, that she did not “stimulate” the Pudding’s decision to go co-ed. She said members of the Pudding have been trying to make this change for a long time. “I don’t want that to be taken away from the students, the infrastructure—they’ve been fighting for this [and] they’re the reason this happened,” Kunis added. Amira T. Weeks '18 speaks onstage. Some members and alumni of the Pudding have led a charge for co-ed status in recent years. More than 86 individuals signed a Pudding alumni petition in Sept. 2016 calling on the organization to admit women. “While we have great respect for the art form that has been presented by the Pudding for over a hundred and seventy years, which art form dates back to the ancient Greek times, the world is in a very different place,” Weeks said, still reading from Farkas’s letter. Op-eds in the Boston Globe and The Crimson previously called on Kunis to reject the Woman of the Year award given the Pudding’s policy of excluding women from its cast. At the press conference Thursday, Kunis criticized the suggestion that she turn down the honor. She said not showing up would have been a “pretty weak stance” to take. 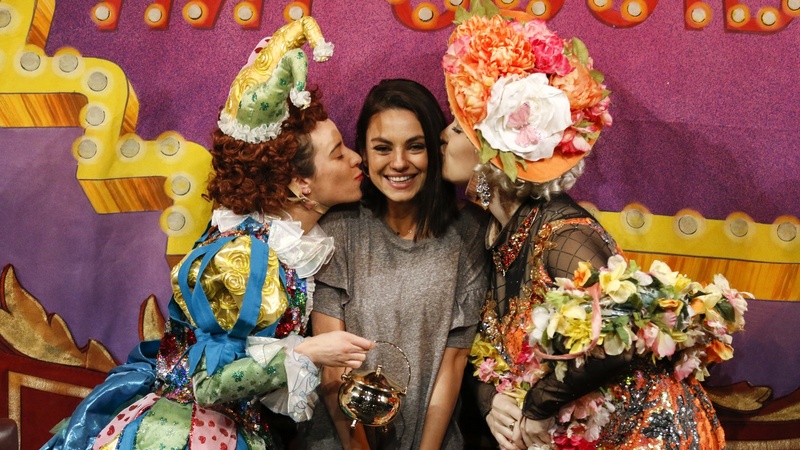 Hasty Pudding 2018 Woman of the Year Mila Kunis receives kisses from two Pudding cast members. Though Thursday marked a moment of significant change for the Pudding, Weeks and Kunis still sought to celebrate the group’s history. Weeks noted that the Pudding—which houses a social club and a capella group as well as its theatrical troupe—was the first social institution at Harvard to go co-ed. Harvard’s other historically single-gender social groups—particularly its all-male final clubs—have come under fire in the past two years as College and University administrators seek to push the clubs to adopt gender-neutral membership practices. In May 2016, University President Drew G. Faust announced a social group policy penalizing members of single-gender social groups on Harvard’s campus. Kunis emphasized that, though women have never served as Pudding cast members, they have been active in other aspects of the show. 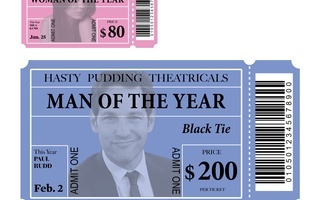 Paul Rudd is set to accept the Pudding’s 2018 Man of the Year award with festivities on Feb. 2.